January 2014 | Pentaflex INC. January 2014 | Pentaflex INC. The New Year is always a good time to look back and reflect. Many look back at the past year and compare how far they have come, the goals they were able to accomplish and create new ones for the upcoming months. At Pentaflex we are no different. 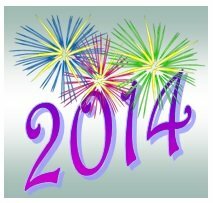 We have achieved many of our aggressive goals in 2013 and we have set equally challenging goals for 2014. Last year we set out to improve in a number of areas including, safety, quality, delivery and productivity. Our primary metrics for safety allowed us no lost time injuries. Our quality reached 30PPM across all customers, we delivered less than $10,000 expedited freight, not to mention had a 3% productivity improvement, and financial goals for EBIT and positive cash flow were achieved. That was just the start of our great year. Our performance matched Pentaflex to the world class standards presented by Precision Metalforming Association in many areas. In addition, all new programs were launched on time. Capital expenditures in excess of a million dollars were made to upgrade welder and press systems. Finally, we received not one, but two 2013 Manufacturing Excellence awards from the Precision Metalforming Association, a rare feat. For 2014, we have established equally aggressive new goals for safety, quality, delivery, productivity, and financial performance. Our Board has shown confidence and dedication to the business by authorizing the purchase of (2) new AIDA servo presses—-a 300T and a 630T with servo coil feed systems. The 300T press will replace an existing press. The 630T press will provide Pentaflex with new capabilities including the capability to run parts at .030” thickness and a larger bed size than we currently have with our 500T mechanical presses. The 630T press is specified to open up opportunities with the automotive industry in addition to our heavy truck, agricultural, and industrial business where our core competency has been with deep draw, heavy gage parts. We look forward to this next year and hope for continued success!